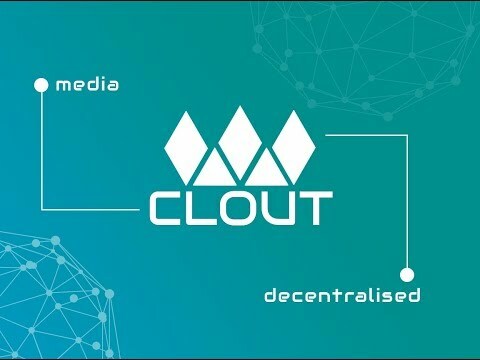 CLOUT is a blockchain based platform intended to promote crypto communities growth. CLOUT is committed towards providing users with quality information about this massively growing space. The platform consists of a social media interface utilizing user generated content. This also offers additional functionality of monetized rewards for the users for their community interaction. The CLOUT Network hosts a wide variety of news and media articles about the blockchain. You will find articles on crypto investments and even a detailed up to date analysis of all upcoming ICOs! For the first time, influential members of the cryptocurrency community will be acknowledged in CLOUTs "Who's Who" section, giving them the recognition they deserve for their positive contributions to the community. Newcomers to the world of crypto will also find helpful content to assist them in getting started! CLOUT is truly a one-stop-shop for EVERYTHING that is Crypto! CLOUT is built on the Ethereum network with two native tokens, the CLOUT token (CLOUT) and the other being its daughter token CLC. CLC is what powers the network. Members can use CLC. Furthermore, members will be subsequently rewarded with CLC for their interactions with the CLOUT Network in different ways. Users can earn their CLC by creating content themselves or sharing a quality post created by any other member. CLC is also earned by "upvoting" quality posts and by leaving quality comments on existing posts. CLC is what differentiates CLOUT from other platforms. It is only at CLOUT where both the content creator AND the content sharer are rewarded for their positive contributions. Each & Every member of the CLOUT is incentivized to consistently monitor the space for quality information. Quite a strong team for execution. However, the white paper link is missing. Cheers! Strong team & vision. Needs a bit more details covered. But I also see that they are all hands on board.